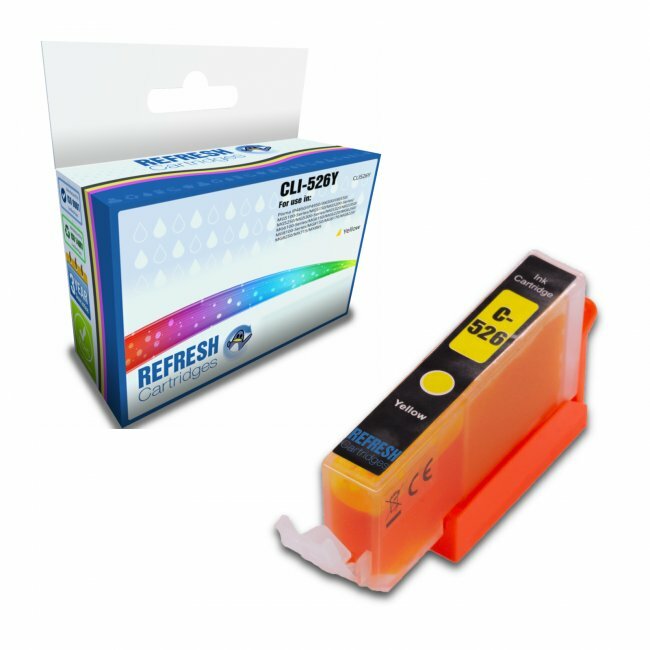 This Canon CLI-526Y 4543B001 Yellow Compatible Printer Cartridge offers a high quality ink comparable to the original Canon CLI-526 version, but at a much more affordable price, leaving the printers running cost low. This cartridge contains 10.5ml of high quality ink. 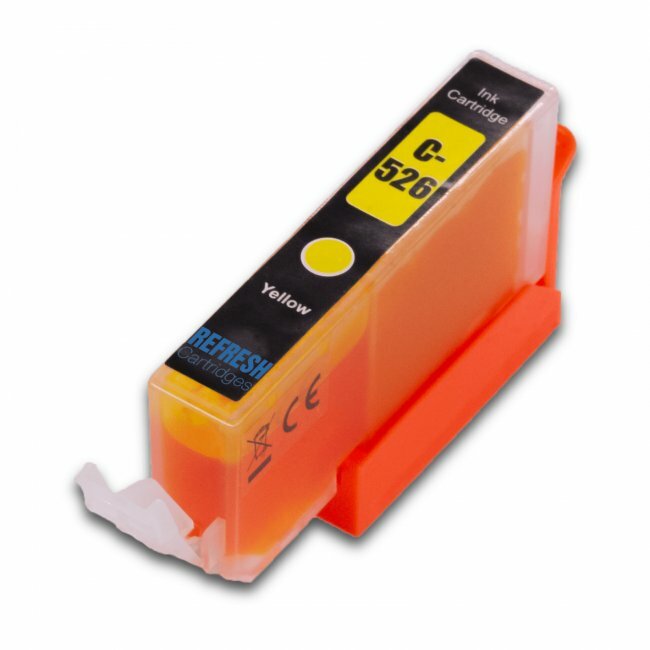 This CLI-526Y Yellow Compatible cartridge is just one in the large range of colours these Canon Printers take. For a full list of Canon Printers the CLI-526 Yellow cartridge is compatible with please find the list above. 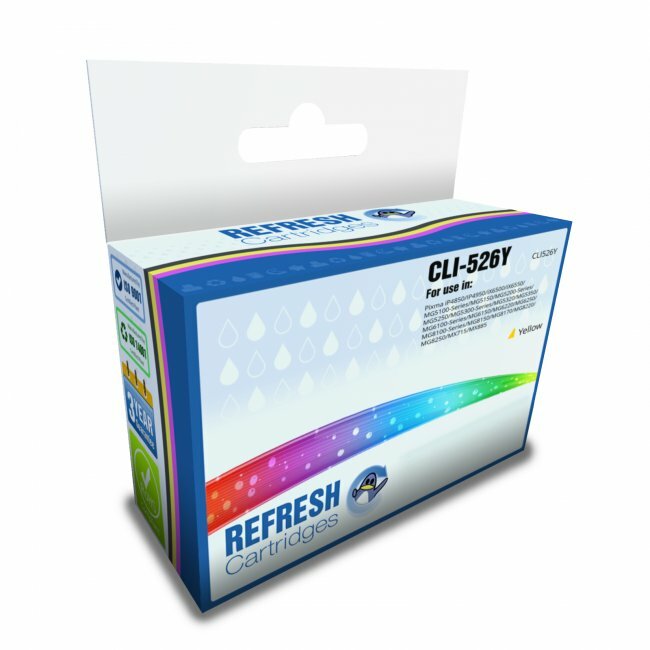 This Compatible CLI-526Y Canon cartridge comes with our 100% satisfaction guarantee and all prices include VAT and delivery so the price you see is the price you pay. Accepted AnswerI can confirm that these cartridges are fully chipped. First class. Excellent both service and cartridges. Good value and work very well.